Each family I photograph is completely unique. There are different combination of kids, of course.. girls, boys, one child, two, and sometimes even four. 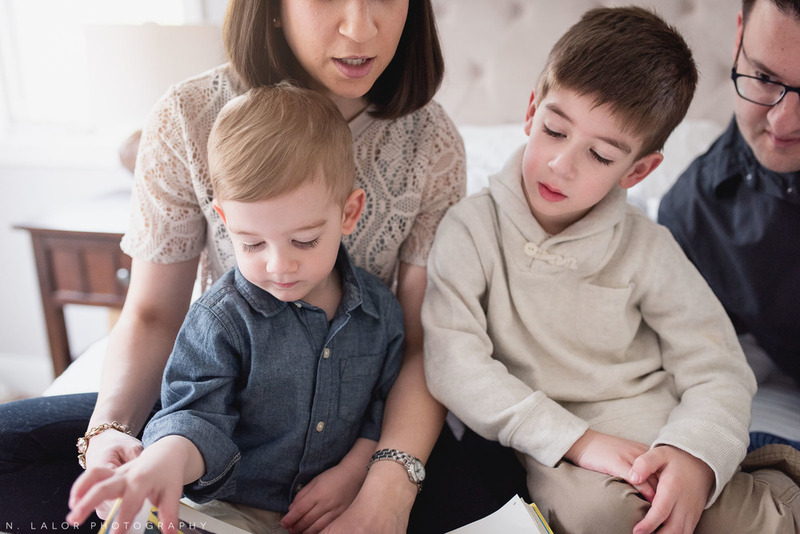 But when I meet a family who's very similar to my own, with two boys who are almost exactly the same age, I can't help but admire the differences. 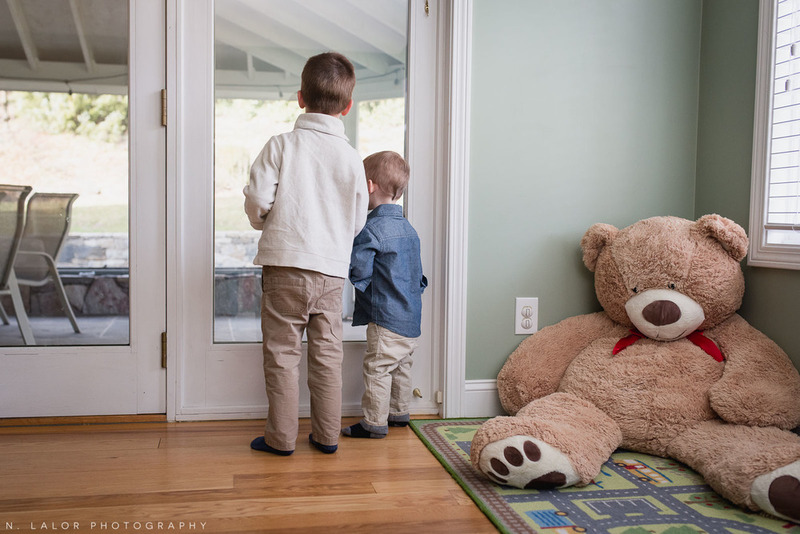 Nicholas and Michael have this amazing playroom (and really, they live in a gorgeous home to begin with). Their playroom is full of shelves filled with all sorts of toys, but they also have two amazing parents who really enjoy playing with them. On the weekends, they have family movie nights and hang out while listening to music on Dad’s fancy speakers in the "music room". They play instruments and sing together, too. You can instantly see how much the boys appreciate their parents and how much they absolutely adore them. 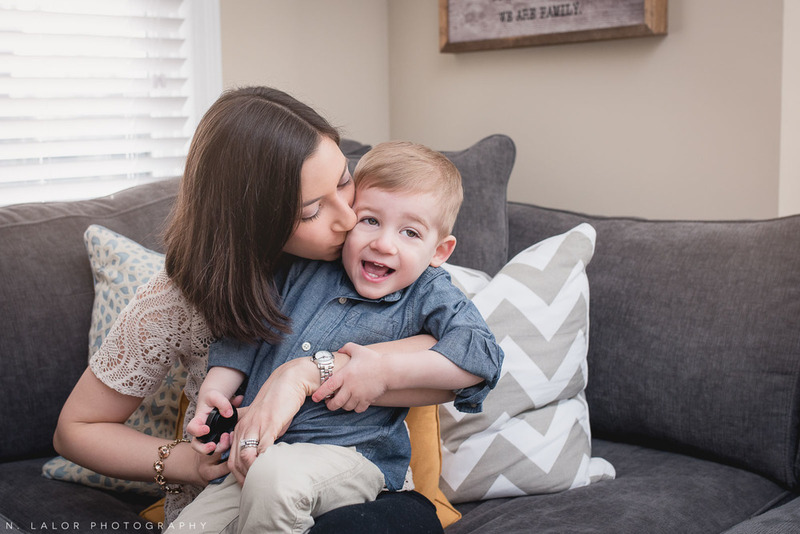 Nicholas is the outgoing 4 year old who loves making Mom laugh by being super silly. Michael, who just turned 2, is a little more reserved, idolizes his big brother, and thinks everything he does is really funny! Mom and Dad love to see their boys happy and laughing as much as possible, and I could tell right away what a lighthearted and fun family this was! My goal with any session is very simple. I want to show the family as they are. Not posing for photos, but simply being together, in a way that is completely natural. And I definitely have a style, an approach that is my own. Even though we photograph activities, my focus is always on creating portraits, whether it's a portrait of a single child, or the whole family together. 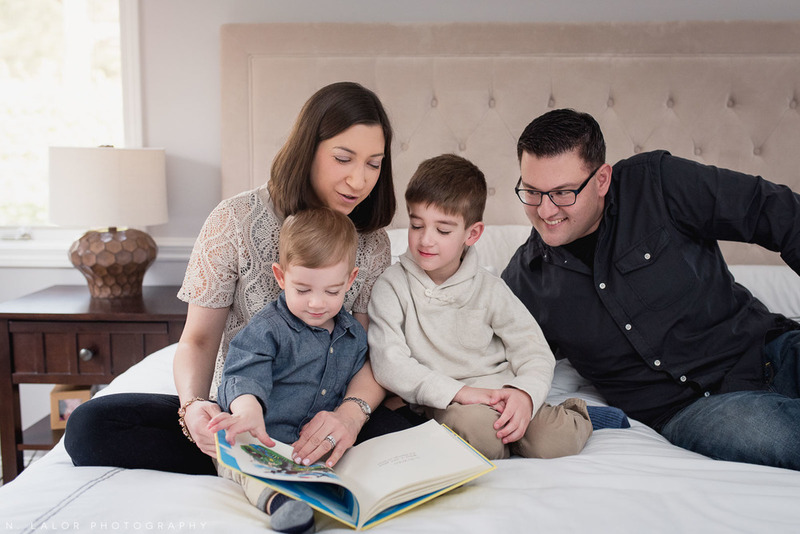 Older PostMother's Day Mini Sessions!